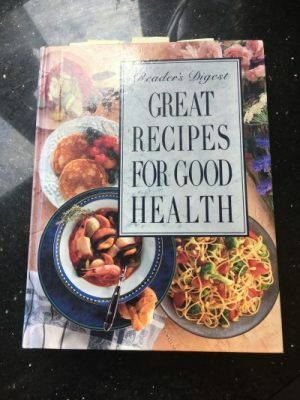 My mum had a kitchen full of recipe books and always cooked using a recipe. I’m a bit more haphazard and go with the flow, but she always liked to throw things together strictly according to the book. Now she’s gone, I have inherited this wonderful collection of old recipe books, and now and again I browse through them for ideas. 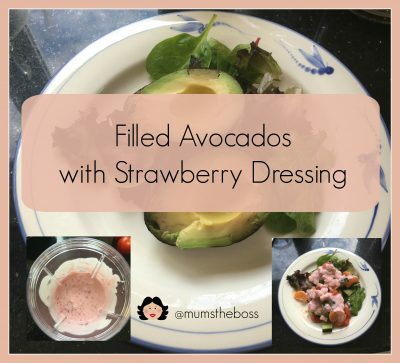 This recipe for filled avocado with strawberry dressing came out of the Reader’s Digest Great Recipes for Good Health, published in 1993, which amazingly is still available secondhand from Amazon (affiliate link). 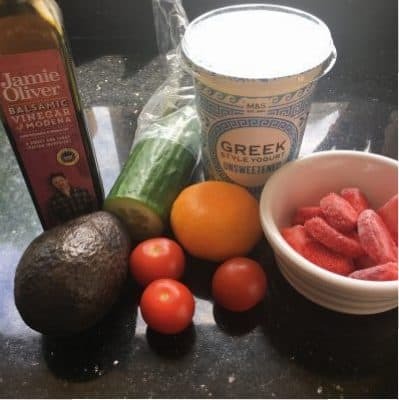 Now I know that some definitions of good health have changed since 1993 – for example the recipe calls for low fat yogurt whereas I am definitely a full fat Greek girl, even when i am losing weight. My tastes are a little different too, so I omitted the cardamom, which I’m not fond of, and I’m sorry, that I couldn’t be faffed going to look for raspberry vinegar, which was in the original recipe, when I have perfectly good balsamic in my kitchen at all times. But with a few adaptations, I recreated this recipe and it was just delicious. OK, I was cooking it just for me, so I didn’t make it camera perfect, but you will get the idea. i did have a proper orange ready to use for this recipe. I even hid it so my husband would not take it to work with him. But he found it and it vanished, so I had to use an ‘easy peeler’ instead. 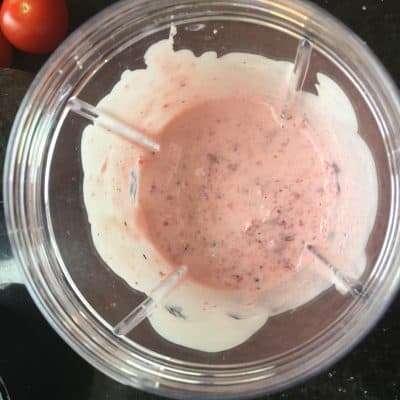 Blend the strawberries and the yogurt and season with black pepper. 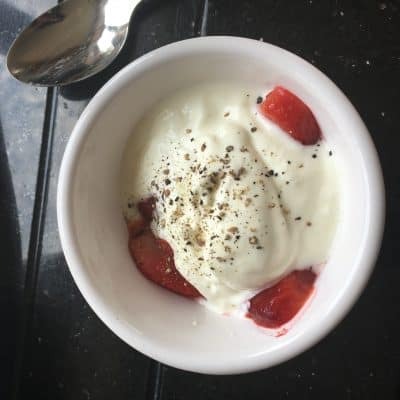 Once I defrosted my frozen strawberries, I decided to just mash them into the yogurt, so my dressing has a bit of a lumpy consistency but I like it like that. 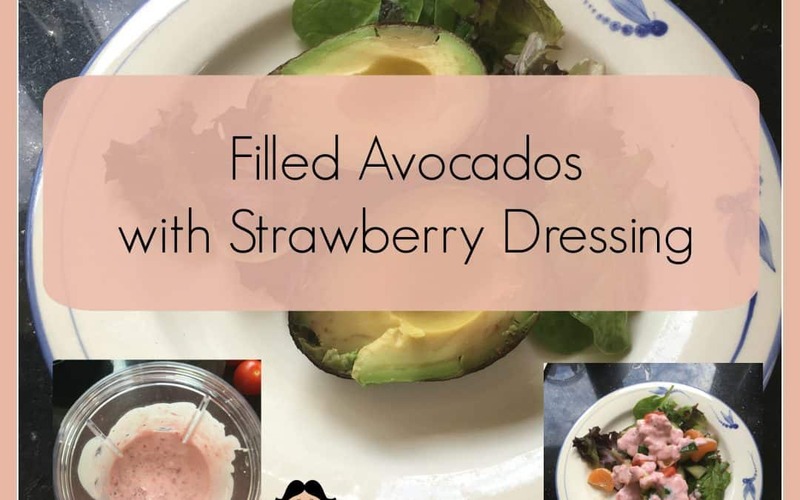 Fill the avocadoes with the fruit mixture and spoon the dressing over the top – garnish with mint sprigs. 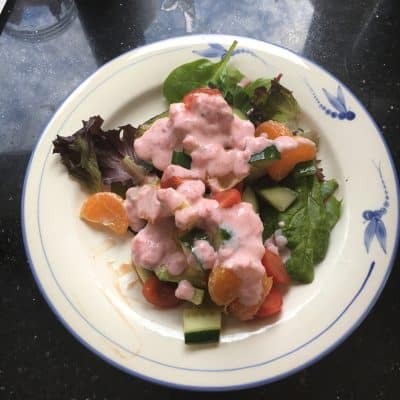 And here, in an episode of Pinterest fails is what mine looked like – too much dressing and too lumpy, too many veggies and cut too coarsely. 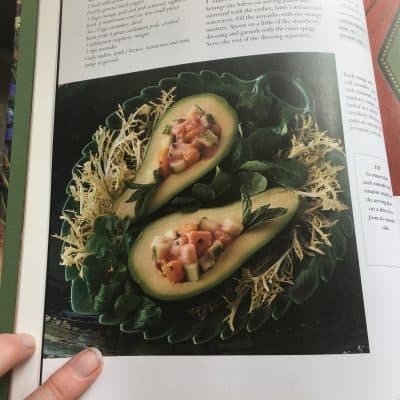 and where is the mint garnish and the curly lettuce? But do you know what, I don’t care. i cooked it for my lunch and it was just for me and it was completely delicious. 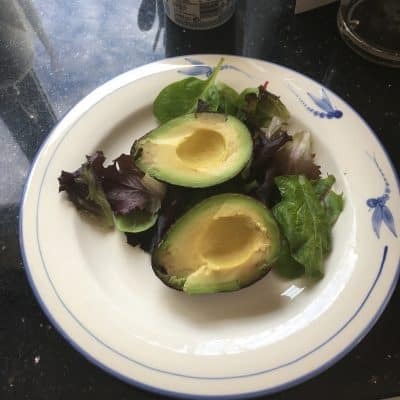 Do you ever do filled avocado halves? What do you put in yours?